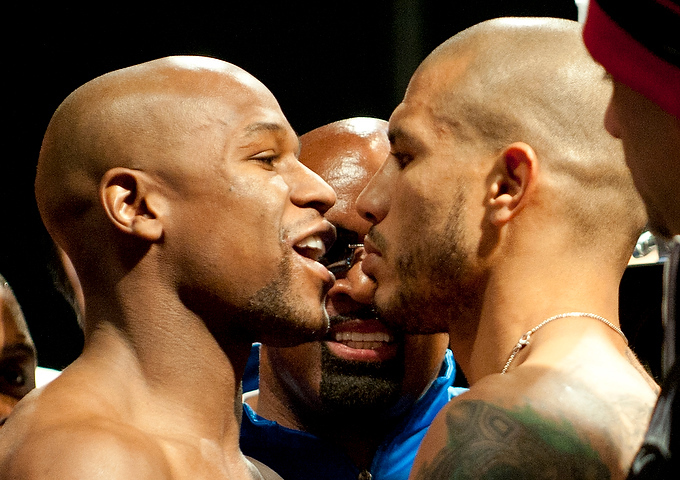 Floyd Mayweather keeps living up to his nickname ‘Money’, even before stepping in the ring to face Miguel Cotto. Before the ticket numbers are in, before the PPV united are counted, Mayweather will earn a guaranteed $32 million just to step in the ring with Miguel Cotto, the biggest guaranteed contract for a boxing fight ever. The previous record was $30 million, going to Mike Tyson for his 1997 fight with Evander Holyfield in the infamous Ear-Biting fight. Breaking Tyson record, heavyweight records for that matter is a rather impressive financial feat, but Mayweather keeps proving he’s in a league of his own in the boxing world – In terms of performance and skills; In terms of generating interest and cash. This fight is pretty much certain to get way above 1 million PPV buys, going for $59.95 each. Miguel Cotto has a pretty big PPV following as well, meaning we may well see this fight passing the 1.5 million mark. Pacquiao’s fight with Marquez in November was watched on PPV by 1.3-1.5 million, depending on who you believe. Mayweather keeps going up the ladder scale of guaranteed contracts – He made $25 million without the PPV against Victor Ortiz. He made $22.5 million against Shane Mosley a year earlier. Mayweather doesn’t split the PPV money with Cotto, or with any other fighter for that matter, raking in not just the biggest numbers in boxing but in the world of sports. Miguel Cotto is promised $8 million but he’ll be making $20-$25 million more from Mayweather, paying the WBA Light Middleweight champion to forfeit the proceed from the PPV buys. He offered Manny Pacquiao $40 million for that same deal, but was declined on a phone call, preventing the mega fight everybody wanted to see. Mayweather is 42-0 with 26 knockouts in his professional career. He’ll be going in to this fight with Cotto weighing more than he ever has, clocked at 151 pounds during the weigh in. Miguel Cotto will be in his normal (recent normal that is) of 154. Mayweather still has the reach and height advantage. Not even to mention being a wall to wall favorite to win this fight, despite Cotto being the younger fighter and coming in with a 37-2, 30 knockouts record. Championships and belts don’t mean a thing. It’s about staying undefeated and generating as much money as possible before he heads off to jail for three months. 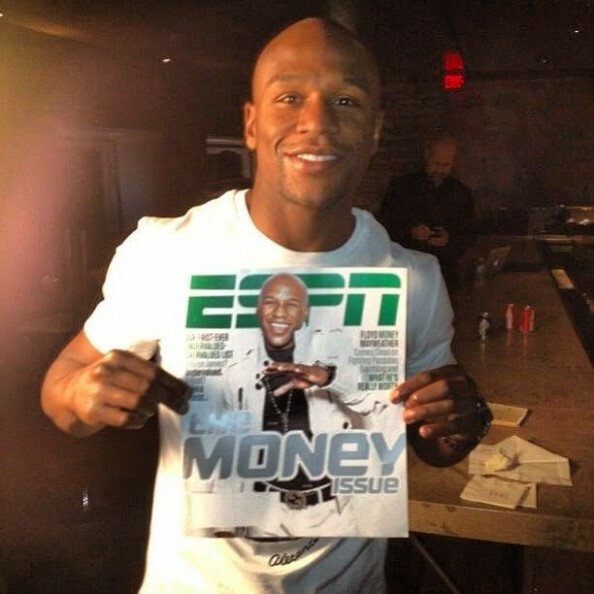 Nothing else matters for Floyd Mayweather.